Before Thomas Jefferson died – on the 50th anniversary of the Declaration of Independence, he gave instructions for what he wanted engraved on his tombstone. Ever mindful of shaping his place in history, he hoped to be remembered by posterity for three accomplishments: “Author of the Declaration of Independence, of the Statute of Virginia for Religious Freedom, and Father of the University of Virginia.” Notably missing from this short-list of what he packed into his 83 years of life is his service as president, vice-president, secretary of state, and governor of Virginia. His tombstone provides a window into Jefferson’s mind and the achievements about which he was most proud. New Book on Jefferson’s Political Philosophy: In a recently published book, author Kevin R.C. Gutzman e xpounds on Jefferson’s political philosophy and the issues about which he cared most. 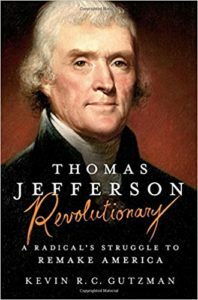 Thomas Jefferson: Revolutionary (St. Martin’s Press, 2017) is not a biography, but an analysis of Jefferson’s mind as it relates to major issues of his day. The book is fascinating, well-written, easy to read, well-researched, and makes effective use of Jefferson’s writings. Gutzman’s book is an outstanding contribution to our understanding of the third president’s mind. 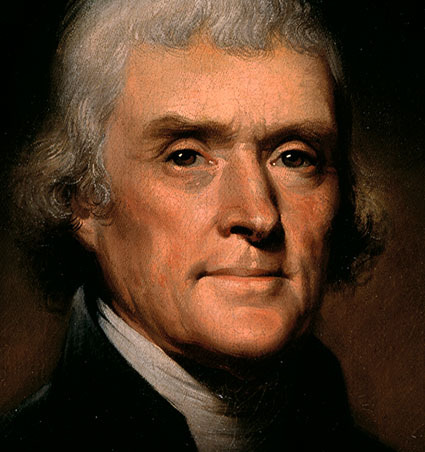 Federalism: Thomas Jefferson believed in states’ rights. The proper relationship between the federal government and the states has been an issue from our nation’s founding. The withdrawal from the Union of southern states culminating in the bloody Civil War was about the rights of the states to nullify actions of the federal government. In 1948, the third party presidential ticket of the States’ Rights Democratic Party, intent on preserving racial segregation in the south, won four states and more than one million votes. The debate about the role of the federal government and states’ rights continues today with many arguing that the federal government has grown too large and more actions and decisions should be handled by the states. Jefferson believed that the only rights the federal government has are those explicitly granted to it by the Constitution. Thus, he opposed efforts of the federal government to build interstate roads, a position that would have put him in opposition to the Interstate Highway System strongly pushed by President Dwight Eisenhower in the 1950s, and with past and proposed federal infrastructure projects. In today’s world, Jefferson might be a conservative arguing for more rights for the states and less of a role for the federal government. However, throughout his life, the sage of Monticello showed an ability to flex his political philosophy when presented with practical realities. For example, his authorization of the Louisiana Purchase violated his maxim that the federal government only had the powers granted to it in the Constitution. Freedom of Conscience: If Jefferson would be considered a conservative on the issue of states’ rights, he would be viewed today, as he was in his own time, as a flaming liberal (and “infidel”) in his belief that government should not promote any one religion. But for this man with such a sharp mind, freedom of the mind and of conscience and religious beliefs helped to define who he was. Jefferson wanted the University of Virginia to accept students of all religious beliefs and stock the library with more than just Christian books. Such a position was at odds with the deeply religious Virginia society. In today’s world, we would probably see Jefferson fighting against President Trump’s travel ban focused on Muslims, both because of freedom of conscience and religious liberty concerns, as well as because of his view of federalism that contemplated a limited role for the federal government. Colonization: On the issue of race relations, Jefferson was a bundle of contradictions. While he penned the immortal words of the Declaration of Independence that “all men are created equal,” he also authored bills in Virginia promoting “colonization,” a concept that described deporting blacks as his solution to the problem of slavery and maintaining a white America. Today he might be considered a white supremacist with his highly negative views of the abilities of blacks, arguing that they “are inferior to the whites in the endowments both of body and mind.” He wanted to believe that their intellectual weakness was due to their servitude, but generally saw little evidence of this. And while he wanted to eliminate slavery, he was a slave master and evidence strongly suggests that he may have fathered numerous children with one of his slaves, Sally Hemings. Assimilation: If Jefferson viewed blacks negatively, he held out more hope for Indians and saw great promise of assimilating them into the culture rather than deporting them. He viewed Indians as much closer to being equal with whites than he did blacks. He hoped that his policies would help convert the Indians from hunters to farmers as part of civilizing them. With the current debate about immigration in the country, Jefferson’s thinking is still relevant in thinking about the concept of assimilation. 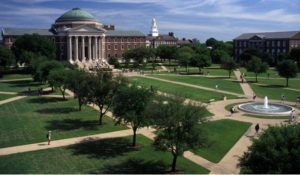 The book describes Jefferson’s hands-on role in shaping the University from development of the curriculum, selection of the faculty, design of the campus, and shepherding legislation to bring the University into existence. Conclusion: Thomas Jefferson: Revolutionary is a relevant and fresh look at one of the greatest minds in American history. I strongly recommend this book. You won’t be disappointed.